I made a tasty surprise over the Father’s Day weekend that I thought I would share with everyone. I served it with a side of baked, wild caught, salmon (4oz cooked). Let me know how you like it. 8 servings. Ready in 45 min. Rinse off the Kale, tomatoes, (and other veggies, except the onion), and soak in cold water that has been treated with GSE. Use large pot to cook the rice, add the water, rice, butter, and kosher salt. Bring to a boil, then reduce heat to simmer, and cover with tight fitting lid for 20 minutes. Use a large skillet to saute the veggies (the rice will be added to this skillet later so pick a big one). Put olive oil in skillet, then add the onions and garlic and saute on med low until onions start to change color but not clear yet, then add the jalapeno, kale, turmeric, oregano, black pepper, pink Himalayan salt, and tamari sauce. Saute until the kale has softened up. When rice is done, remove from burner, fluff with fork, and recover allowing plenty of steam to escape. When the Kale is softened gradually add the rice to the skillet while sauteing and mixing the ingredients together. Now add the tomatoes whole, and slightly mix them in. Add the beef broth, reduce heat a little and cover with tight fitting lid for about 10 minutes, stirring occasionally. Serve with lemon wedge on side. 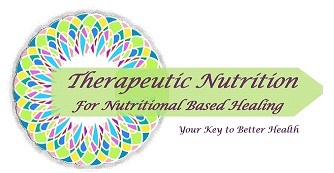 For nutrition information including the micro-nutrients follow this link. Next Next post: Is This A Cause Of Concern For Healthcare Professionals? Yay or Nay?